Over the last year, BrightBytes has become a personal favorite in the ballooning world of education startups. The reason for this begins with the fact that when it comes to our beleaguered education system — from its skyrocketing costs to its middling outcomes and dwindling resources — many have begun to look at technology as a savior. Certainly few would argue that the litany of new tools and services technology is bringing to classrooms and learners has the potential to transform the learning process in a number of exciting (and positive) ways. However, in all the excitement over the slew of smart learning devices, tools, services and software now proliferating through education, it’s important to consider whether we’re advocating for the use of technology for its own sake (or progress’ sake) or whether these new tools are actually having an impact on student outcomes and achievement. BrightBytes launched in 2012 to help answer this critical question. Since then, the San Francisco-based data analytics startup has been on a mission to evaluate the real impact of technology integration in our nation’s schools on student achievement. Through its flagship SaaS-based platform for K-12 institutions, BrightBytes takes the latest research and data from schools, and examines how teachers and students access and use technology in the classroom, distilling that information into actionable guidance that links tech adoption to changes in learning outcomes. In short, BrightBytes wants to help districts and administrators decide how and where they should be spending those precious dollars allocated to education technology. We first introduced you to the company last year, after it raised $750K from Learn Capital, NewSchools Venture Fund and ReThink Education. By offering educators the ability to identify learning gaps and providing recommendations on how to best fill those gaps (without being swayed by the influence of vendors), BrightBytes has quickly gained favor among K-12 educators. With 10,000 schools now signed on to use its platform, BrightBytes is looking to capitalize on the growing demand for solutions to the industry’s nagging problems — namely the misspent dollars and disappointing experiences that still prevail in primary education. Plus, it’s a big problem. As Fast Company points out, the company is now dealing in a high stakes game, considering that schools across the globe now spend $40 billion every year on education technology. 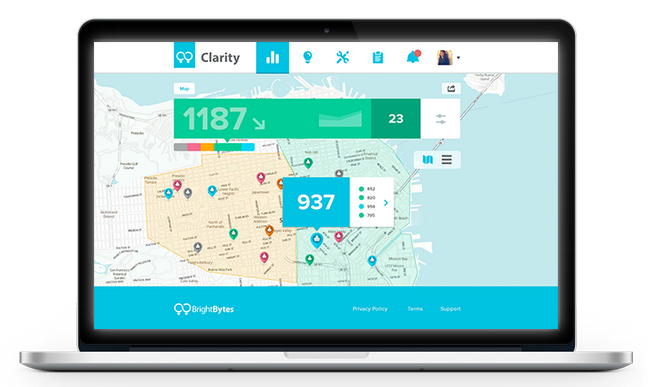 BrightBytes’ success relies on its ability to quickly and effectively transform complex research and an increasing number of disparate data sets into simple, actionable roadmaps that educators and administrators can understand. That’s a lot more difficult than it sounds, and it doesn’t sound that easy. With adoption growing fast, it puts a lot of pressure on its blended team of experienced teachers, engineers and data scientists to make it work. To help its team and support mechanisms keep pace with growth, BrightBytes recently added a big chunk of new capital — $15 million in Series B financing, to be precise — in a round led by Bessemer Venture Partners. Existing investors NewSchools, Learn Capital and ReThink contributed to the round as well, bringing the startup’s total funding to just over $18 million. BrightBytes is looking to help primary education understand how technology is impacting learning outcomes and address new, residual problems that arise from this adoption, like the fact that many schools may not be properly training teachers on how to actually use and make the most out of these new technologies. With its new funding in tow, BrightBytes now has more room to investigate these problems, and the ability to begin bringing its tech-investigating microscope to new markets and educational systems around the world.